New York is full of clout chasers and cool cats. Almost everyone has a side hustle and they believe that their passion will take them to the top. Some are lucky, while others are, well, yeah. One woman that stands head and shoulders above the rest (and has the golden resume to prove it is Andira Sample. I met Andira, affectionately refered to as “Boogie”, through a mutual friend, the artist and model Sean Kierre. Sean had been cast in an ad for Height & Light, Sample’s jewelry brand that takes inspiration from ancient Egypt and Rome. Their work together was funky, original, and super New York - just like the 26-year-old designer. You’ve probably seen her dripping ankhs before - Jessica White wore one (along with a Cleopatra choker) last year. Boogie has also had her jewelry placed in Cardi B’s “Foreva” video, and celebrities like Lil Uzi Vert, Erykah Badu, and Rico Nasty have been seen in her fresh links. Right now, Height & Light’s Dipset-inspired belt chains are in high demand, but the brand also makes rings, bracelets and other custom pieces. She keeps busy - Sample recently wrapped up a pop-up shop in Atlanta, debuted a collaboration with unisex clothing brand KRONE, and was featured in a Foot Locker ad, and there’s definitely more to come. I talked to the young entrepreneur about advice she has, her lifestyle and more. Our conversation is below. 1. What inspired the name “Height & Light”? The name..was inspired by [an art teacher of mine] who mentioned basilicas in Rome during [a] lecture. She stated that when designing them, the focus was on how tall it stood and the windows, so that sunlight could shine in. [She said] “It was all about height & light” she said and it clicked in my head. I just...wrote it down, not knowing what I would do with it, but just [knowing] that it was a powerful name. 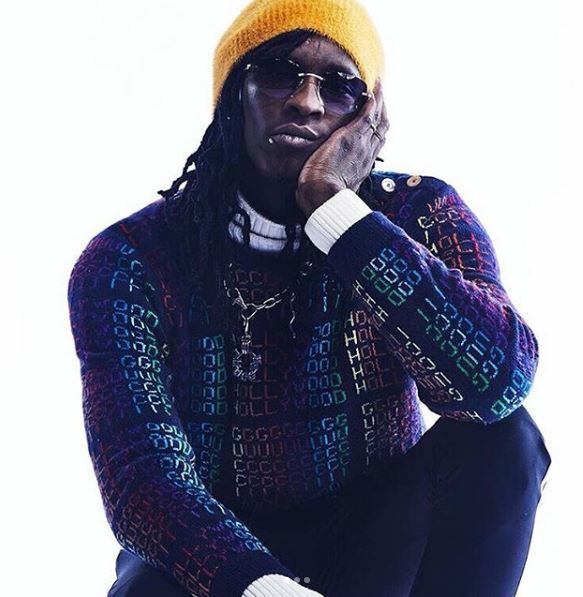 Young Thug wearing Height & Light in a shoot with VFILES. 2. What other celebrities do you want to work with? Kelis, Kid Cudi and Chief Keef! Speaking it into existence. 3. What’s the day-to-day life of a jewelry designer like? Honestly super sporadic. Some days I wake up, head into the city..to do chain work and just find a cafe to sit in and work..[S]ometimes, it’s me just home reading, listening to music, watching documentaries and building sketches and [writing] little inspo quotes.. But lately, I’ve been doing collaborative projects with friends, such as KRONE & IAM.ECCENTRIC, that mix jewelry into garments and statement apparel clothing. Via Height & Light’s Instagram. 4. What advice do you have for young girls who want to get into design? Start! If you have only one design, push that. Don’t feel like you need excessive pieces and don’t try to make things super perfect. Share with your friends and get their opinions because what you think isn’t ready may be great to the world. Do your research on the field. Marketing is key. Once you have a solid brand name, you can pretty much build around it and make all things reflect it. [Y]ou will have ups and downs being a Black girl in design, but know that it will be to your advantage in the end.